The 24 month rule causes a lot of confusion in contracting circles. This basic guide should give you all you need to understand travel expenses to your client’s site whist applying this rule. The engagement is for less than 24 months. The engagement period is unclear (but assumed under 24 months). As long as the above apply then travel expenses are allowable. The 24 month period begins when you first start travelling to the client’s site until the end of the engagement even if there are breaks in the services (more on this later). If the agreement is to be less than 24 months or it is assumed to be, then travel expenses are allowable. However if during the 24-month period it becomes apparent that the engagement will exceed 24 months then at this time expenses are no longer claimable. This is usually applicable if a shorter contract (12 months for example) is then extended to overall exceed 24 months (extension of 16 months for example). At the point of extension the period is now expected to be longer than 24 months and so expenses can no longer be claimed. What if the location changes but the client remains the same? This can be a tricky one to ascertain. The change in location would have to significantly change or affect the contractor’s journey. Is there a significant cost increase? or is the journey significantly different? For example if you drive to work and the new location is 20 mile further in the opposing direction, there is no argument that the cost has increased and the journey is significantly different. This is therefore a new workplace and the 24-month period restarts. However if you travel on the tube and your client site moves but within the same zone, the cost has remained the same and little has changed. This wouldn’t be considered a new client site. How long a break would I need before returning to avoid the 24-month rule? Although it may seem like a simple solution to take a small break to restart the 24 months, this is not the case. The period of 24 months is taken into account from the start of service and if the contractor has spent 40% or more of their time at the clients site within this time frame then expenses cannot be claimed, even if there were breaks in service. Does this affect my IR35 status? Should I close down my LTD Company? Length of engagement – am I outside of IR35? 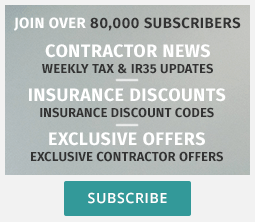 Lengthy contracts- What are the IR35 implications?